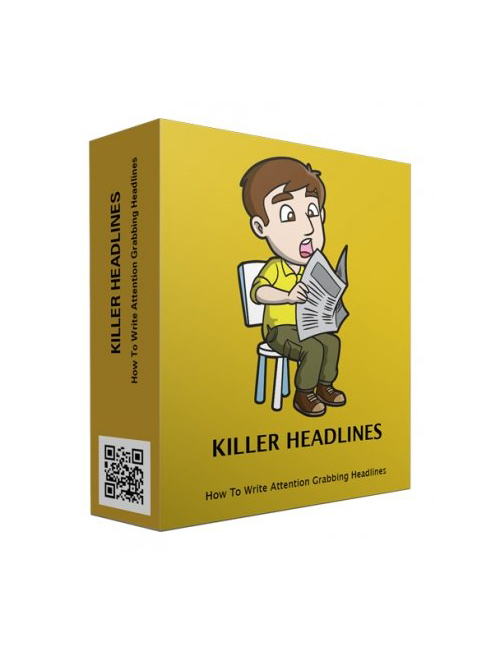 Killer Headlines is the download that delivers expert information on how to capture the attention of your niche audience and draw them in for purchase. When you know how to create fail proof headlines you have the key to winning in online business. From there you will drive large amounts of traffic to your website, increase online credibility, boost conversions and of course make more money. When visitors can easily find you that’s when you increase the odds that your profits are going to steadily rise. If you want to make money and build a solid online income stream you need the tools to help you set up. This is the ebook that will take you step by step through the process so you can make the money you deserve and build the brand people come looking for again and again. Killer Headlines educates on building effective headlines and putting them into play so your online business will thrive.